Find Better Ideas, Faster ® with a custom humanized branding trend report, our PRO Dashboard and 80+ categories of premium trend reports. 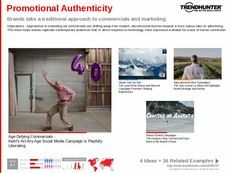 The Humanized Branding Trend Report investigates how brands attempt to appeal to consumers through personal connection and interaction. Despite their rigid corporate structures, brands have undertaken a unique branding strategy that attempts to associate human characteristics to their business. 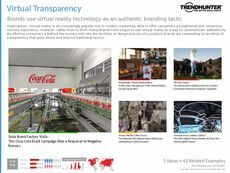 Another way humanized branding is used is through transparent and authentic marketing, where the cinematic and glamorous aspects of advertising are abandoned for real life stories and a greater emphasis on employee profiles and brand narrative. 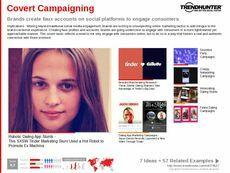 This report targets marketers, advertisers and brand managers primarily. Use our research to discover how innovative campaigns from brands like Coca-Cola and McDonald's successfully execute humanized advertising and marketing concepts that alter and reinvent their brand identity among consumers. Utilize these examples to spark ideas within your team. The Humanized Branding Trend Report provides you with a collection of relevant examples in this field, but more importantly, our crowdsourced research will inform you on what types of campaigns and strategies are resonating with consumers.